It’s always important to keep your cat stimulated and entertained, especially if they’re an indoor kitty. One smart way to do that is to keep rotating and adding new cat toys to their environment. 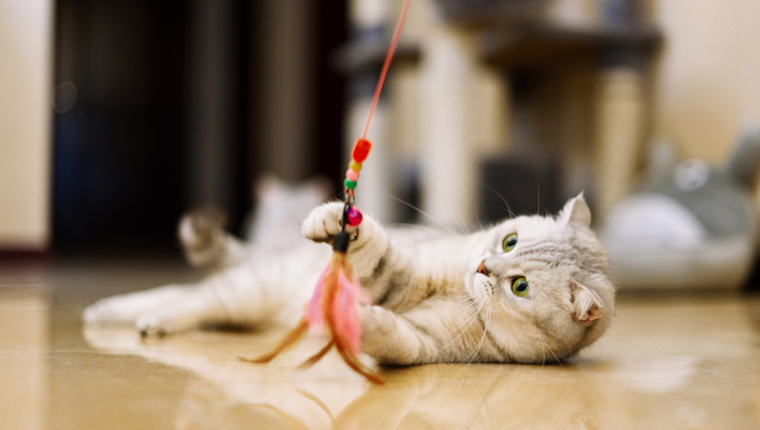 Cat toys can keep your kitty from getting bored and engaging in unwanted behavior, like scratching, knocking things over, or destroying your stuff. If you’re not familiar with what cat toys are out there or you’re new to the world of felines, fear not! We’ve collected a list of some of our favorites that your kitty will love. 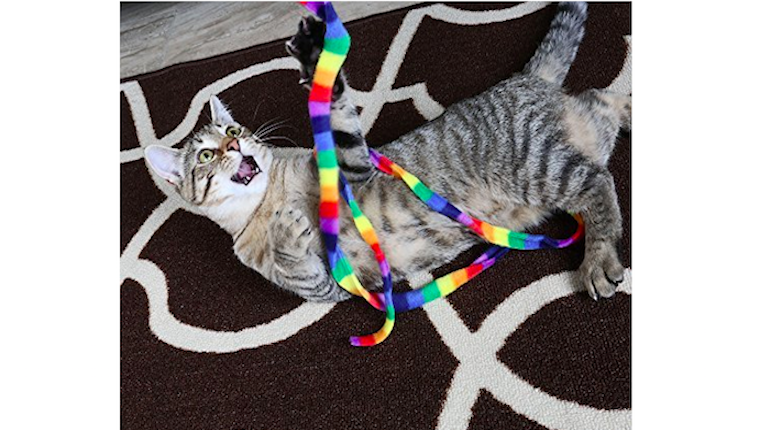 Check out these seven great cat toys that will keep your kitty busy and happy! 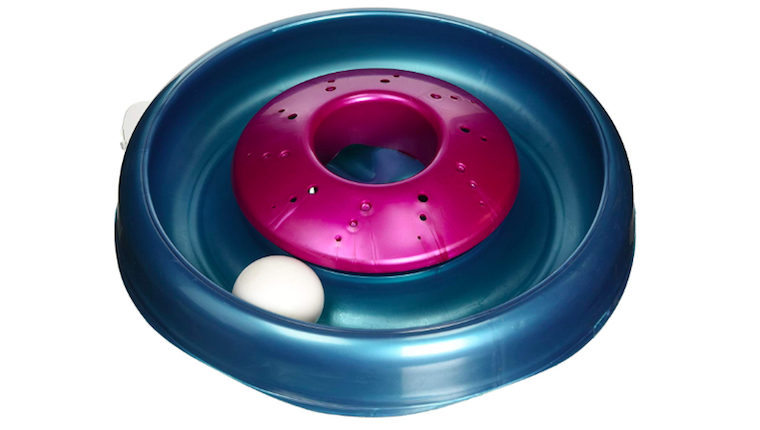 The idea behind the Bergan catnip cyclone cat toy is simple: You strategically place some catnip in the center of the contraption, then marvel as movement from the exercise ball stimulates air currents, which in turn entices your cat to check out the intoxicating aromas and attempt to free the ball! 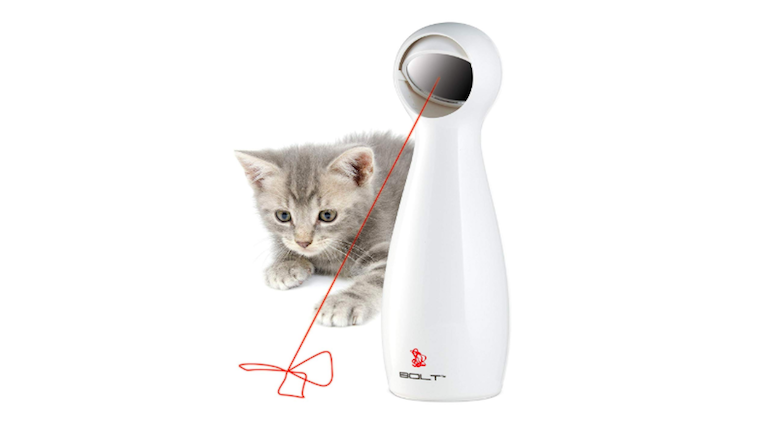 Check out this interactive laser toy designed to provide your cat with hours of entertainment. It can be set to turn off after 15 minutes, and there’s an adjustable mirror so you can redirect the laser to wherever you think it’ll tempt your cat the most. 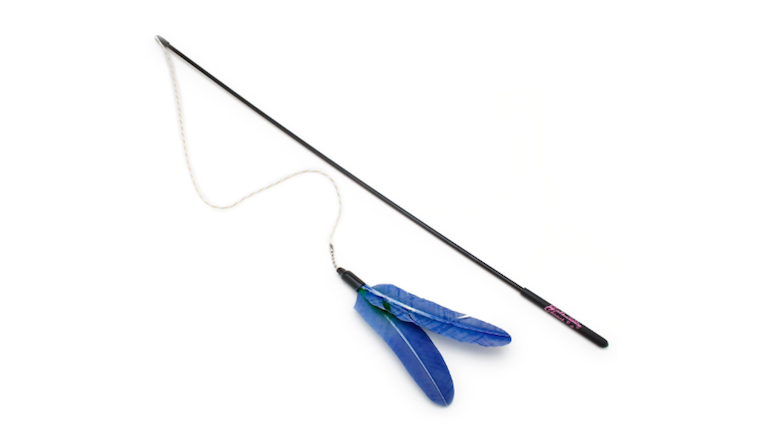 The Ball of Fury is designed to tap into your cat’s natural hunting instincts. 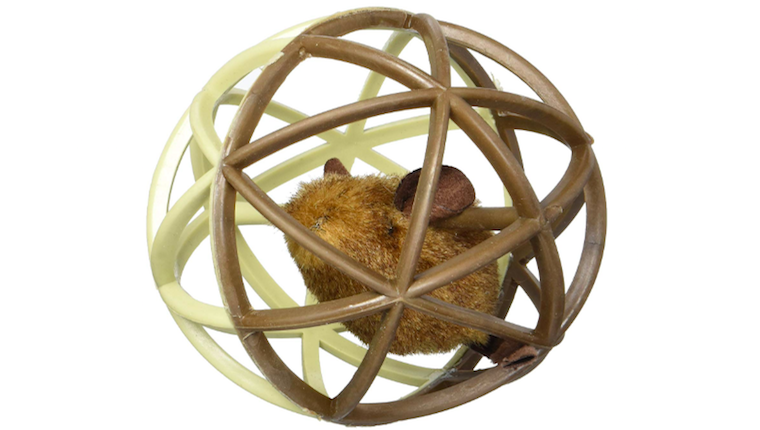 There’s a plush mouse suspended inside a flexible open ball that also squeaks when moved, providing your kitty with both mental and physical stimulation. The Feline Flyer simulates a bird in flight as it flutters through the air, which should prompt your cat to leap, stalk and pounce after it. You can also affix different “birds” to the end of it. The Cat Dancer series of Charmer toys are classic. Simply wave the toy around in the fashion of twirling a ribbon, and watch as your cat bounces and bounds after it. Every cat home needs a Charmer. The Yeowww! 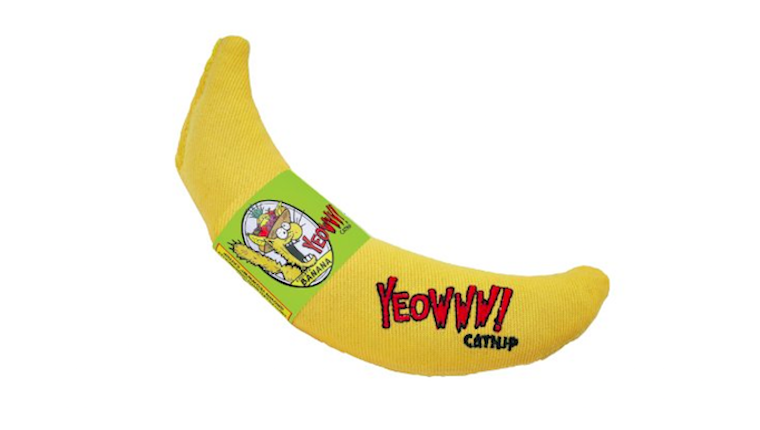 brand makes some of the most irresistible catnip toys around, so why not spruce up the kitty playground with this vibrant banana-shaped toy? 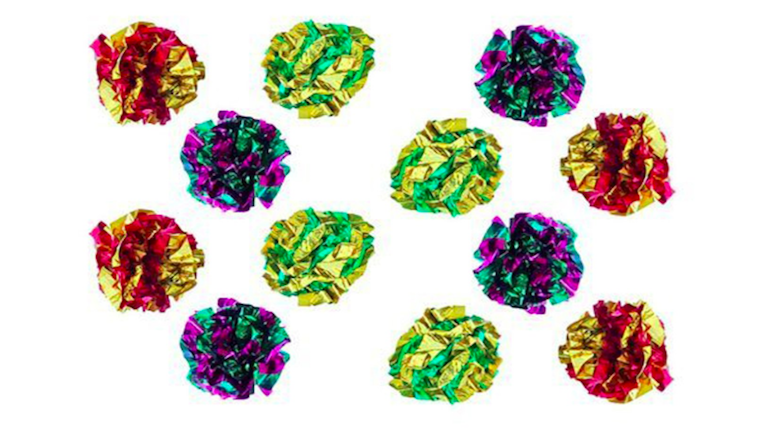 Finally, make sure to add a dozen of these crinkle balls to your next cat toy order. The sound they make is enough to get even the most relaxed cat up off the couch and into the play area! Did we miss your favorite classic cat toy? Which one is your kitty’s favorite? Tell us about it in the comments below!